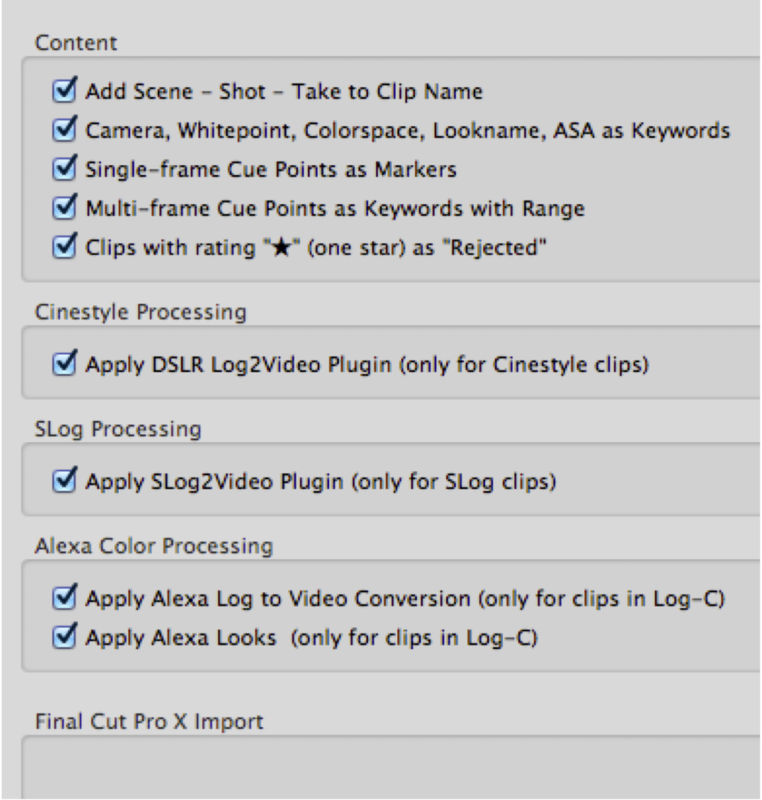 To process your clips in other Tools like Avid Media Composer, FinalCut or Speedgrade you can use transfer wizards. 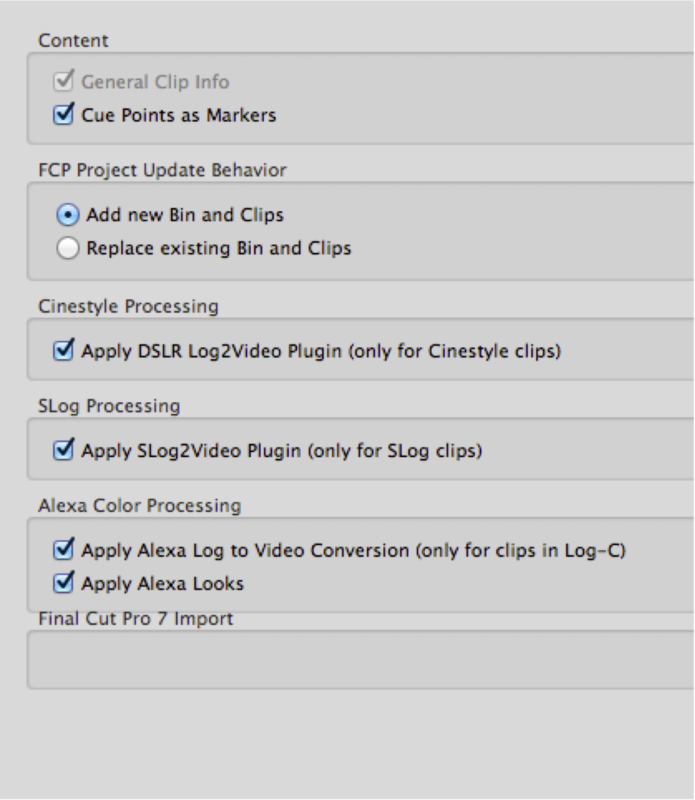 Navigate to the level in your project tree that contains the clips you want to transfer and click “Export” in the actions bar. 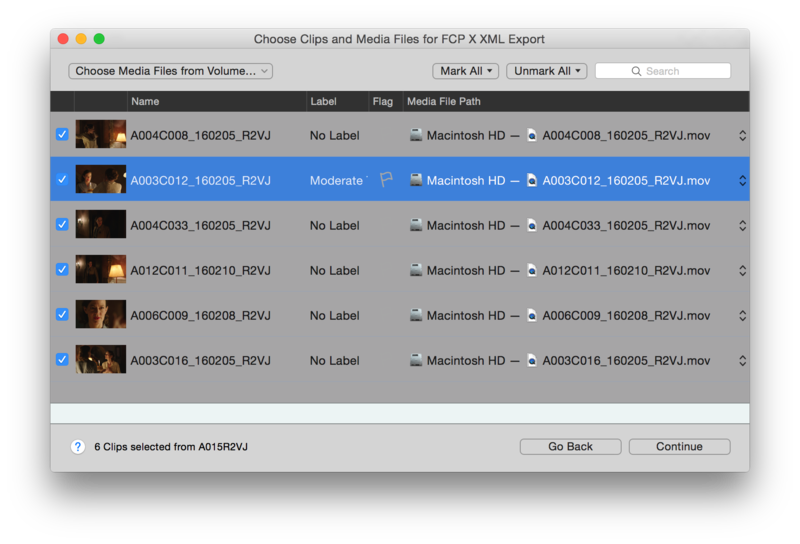 Now choose the desired program to transfer your clips, the clip metadata and other useful information. After you have selected the proper program a corresponding “Export” wizard (figure 6) opens up. 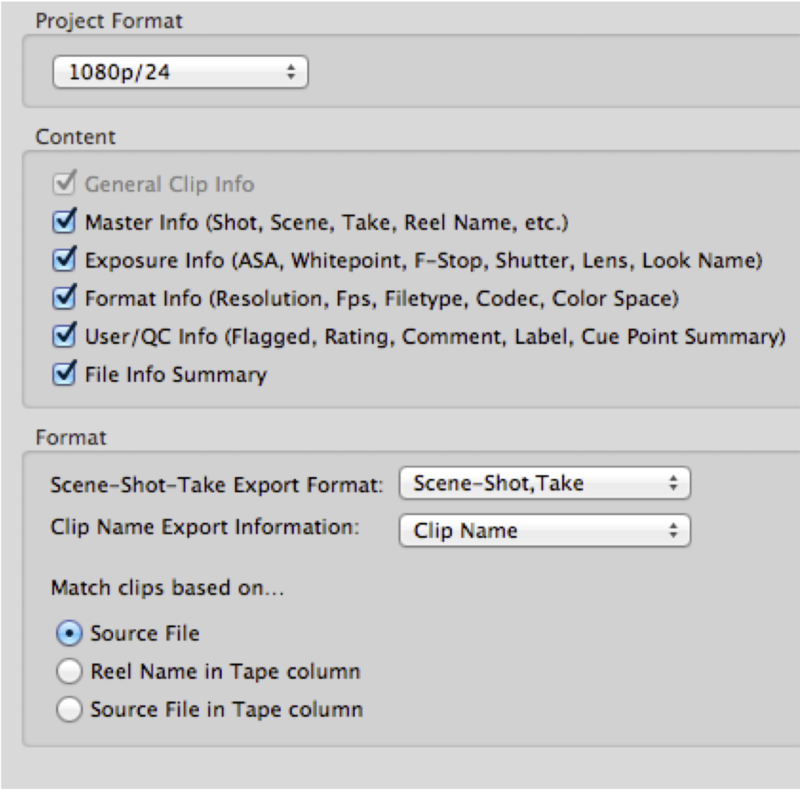 Choose the clips and then specify the export options as you can see them in figures 2 – 5. 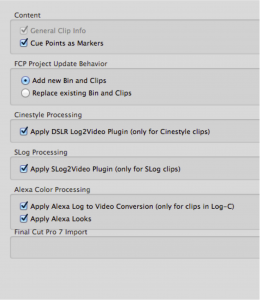 In the transfer process Silverstack transfers the edited information relating to the particular clip along with a link to its original clip’s storage location. 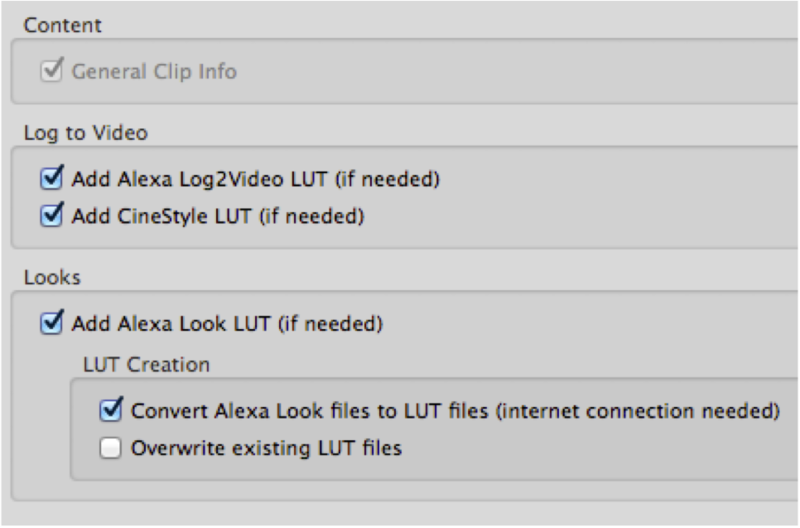 It never overwrites the original clip’s metadata. 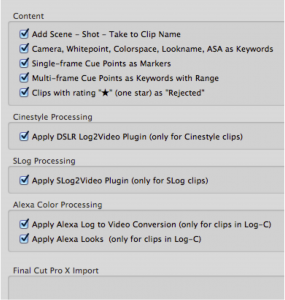 If you want to transfer your clips to Final Cut Pro X, you find a short explanation of the menu items affecting the metadata in the “Export” dialog in the article Transfer metadata to FCP X. 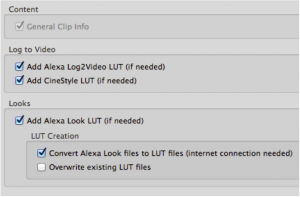 There is another article for transferring metadata into Avid Media Composer. 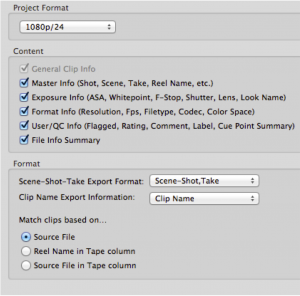 If you want to export only metadata of one or several clips as a pdf/ cvs/ xml/ html, Silverstack provides you the “Creating Reports” function for that case.